The classic romance An Affair to Remember (1957) starring Deborah Kerr and Cary Grant is one of the old Hollywood films Netflix Instant added in January. Valentine's Day is more than a month away, but Netflix Instant is already feeling the love by adding three classic fifties romances to its streaming service this month. Other old Hollywood offerings include a sci-fi adventure, a circus film, and a true crime thriller. 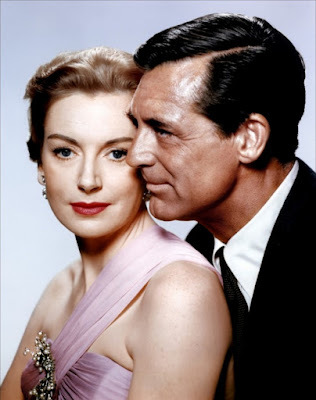 An Affair to Remember (1957): The timeless tale about two lonely people who meet and fall in love during a transatlantic cruise has been filmed four times, but this version with Deborah Kerr and Cary Grant is the still the gold standard for all Hollywood romances. The Quiet Man (1952): Director John Ford's classic about life in rural Ireland centers around the tempestuous relationship between a troubled former boxer (John Wayne) from America and a feisty local woman (Maureen O'Hara). This is one of Ford and Wayne's best collaborations and the glorious Technicolor cinematography shows off both the stunning vistas of the Emerald Isle and O'Hara's breathtaking beauty. Love Is a Many-Splendored Thing (1955): This lush soap opera follows the forbidden romance between an American reporter (William Holden) and a doctor (Jennifer Jones) in forties Hong Kong. 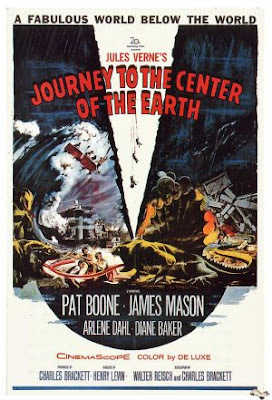 This movie is somewhat dated (Jones plays an Asian character), but it still has great scenery and costume design, and features the classic Oscar-winning title song. Journey to the Center of the Earth (1959): This sci-fi classic based on Jules Verne's novel stars James Mason, Pat Boone, and Arlene Dahl in a fun adventure that features great special effects, location shooting in Carlsbad Caverns National Park, and a fantastic score by Bernard Herrmann. The Desert Fox: The Story of Rommel (1951): This World War II drama stars James Mason as Field Marshal Erwin Rommel, a brilliant general who led the German army to many victories in North Africa until he realized the extent of Hitler's madness. The Greatest Show on Earth (1952): This epic about life under the big top from director Cecil B. DeMille is one of the most unusual best picture winners of the 1950's. The all-star cast includes Charlton Heston as the ringmaster, Betty Hutton and Cornel Wilde as a pair of battling trapeze artists, and James Stewart as a very unusual clown. Call Northside 777 (1948): This film noir based on a true crime story follows a Chicago reporter (Stewart) who investigates the case of a man (Richard Conte) who was wrongfully convicted of murdering a police officer.